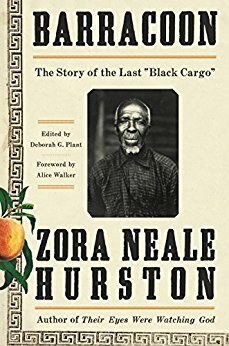 According to The New York Times, Zora Neale Hurston's first book, a nonfiction title called Barracoon, was rejected by publishers in 1931. Barracoon was the story of Cudjo Lewis, believed to be the last living person captured in Africa and brought to America on a slave ship. Now, eighty-seven years after she wrote it, Barracoon will finally be made widely available, thanks to a new edition from HarperCollins. While Hurston is best known as a novelist, she was also a groundbreaking anthropologist and ethnographer, and the publication of this nonfiction book (written largely as a monologue by Lewis) might have a profound affect on her literary legacy.